Energy drink is the best Bullit's ability! | Boom Beach. All about the Game! ← What are the chances to get intel? In my humble opinion pvt. 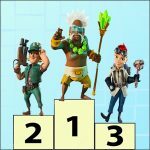 Bullit is the best hero in Boom Beach! In any case, after he was implemented into the Game I use this him in 80% of cases (the other 20% is cpt. 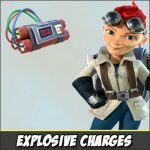 Everspark with her “Explosive charge” and sgt. Brick with her “Battle Orders”). As for the Bullit’s abilities – surely the most effective one is “Energy Drink”! Cool, isn’t it?! 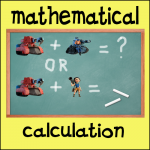 As soon as the level of hero’s health falls – just use the ability and it will regenerate it back! In any case, there are no any others heroes capable of this in Boom Beach! As for attacking combination with other troops, to my mind the best choice for Bullit and “Energy Drink” is the combination of: “Tanks+Grenadiers+Medics” in proportion of 3-3-2 (3 boats with tanks, three with grenadiers and two with medics). With this combo, I manage to clear my map even without statue boosting. 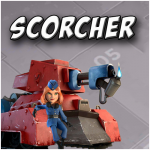 The hero, grenadiers and tanks have different range of fire that makes their attacking position perfect! Bullit has the lowest range of fire and he is always ahead of main troops group and distract attention of the main part of defensive buildings! 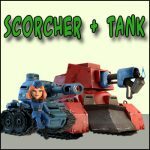 That allows for tanks and grenadiers to attack enemy buildings relatively freely… The main thing is not to miss the moment when to apply the ability and recover Bullit’s health 🙂 try this combo and you will be astonished how easy it can destroy almost any PVP base!